Alex Schultz is continuing his pursuit to qualify for the world crossfit championships in Madison, Wis. 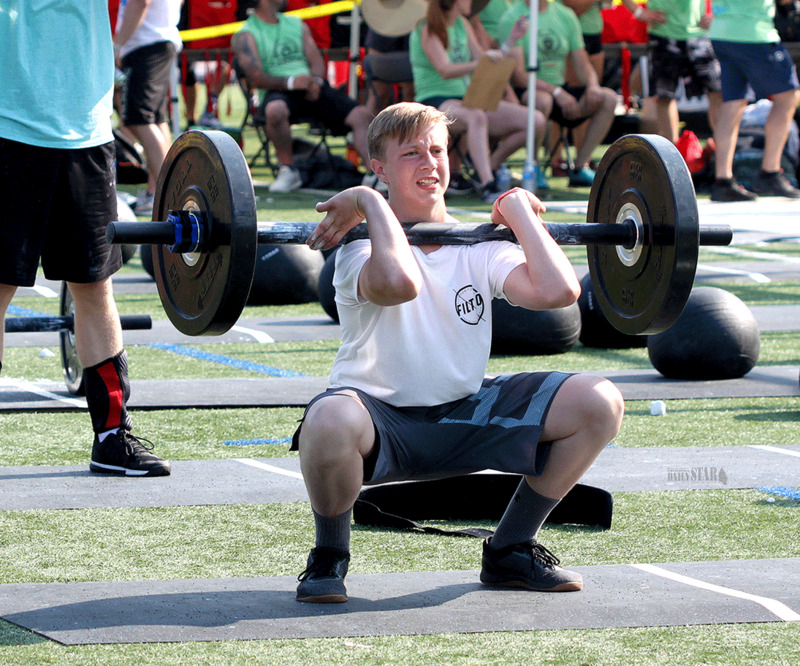 The 14-year-old Whitehorse resident was among the four Yukoners who represented the territory earlier this summer at the CanWest Games in Coquitlam, B.C., for the top crossfit athletes in Western Canada. Also attending were Cliff Schultz, Alex’s dad and inspiration, Melissa Laluk and Mark Dainton. Alex was the youngest in the field of the 10 athletes who qualified in the 14- to 17-year-old class, and he finished in seventh. “I felt good,” he said in a brief interview this morning. “It was a lot of fun. Erin Schultz, Alex’s mom who is co-owner of Avalanche Athletics with her husband Cliff, pointed out the CanWest Games provided her son with a rare opportunity to compete against athletes his own age. There are no other teens in Whitehorse who participate in the sport. She said Alex did achieve personal bests down in Coquitlam. Crossfit is a game of endurance in a number of different events, whether its lifting weights, running an agility course, climbing ropes, jumping over walls, doing muscle ups or handstand push ups. There are requirements to do as many reps or rounds as possible over three, five or 10 minutes. The 10-minute Fire Up event, for instance, included doing 20 burpee box jump overs, running 400 metres, and completing 30 chest to bar pull ups and 30 dumbbell ground to overhead lifts. After completing the requirements, athletes had to use whatever time remained of the 10 minutes to handstand walk as far as they could. Erin said that it is said that whoever finishes first in the world championships is the fittest athlete on the planet. The worlds are intense, she said. For Alex, Laluk and Dainton, the CanWest Games was their first competition while it was Cliff’s second individual competition and fourth overall. Alex and Cliff were the only two to advance to the finals. Cliff finished 12th overall in a field of 24 in the 40-to-44 class. Laluk was 30th in a field of 34 women in the elite 18-to-34 class and Dainton finished 34th in the elite field of men. “She did really well,” Erin said of Laluk’s achievements. “It was her first competition. That in itself, you have a lot of nerves going in. Each of the four athletes from the Yukon competed in eight different events over three days, and both Alex and Cliff competed in one more event for finalists. Cliff said the Games were well organized and the equipment was topnotch. The open qualifying round for the world championships is scheduled for next February, to be followed in the spring by the regional qualifiers in Tacoma, Wash. The world championships will be held next summer.